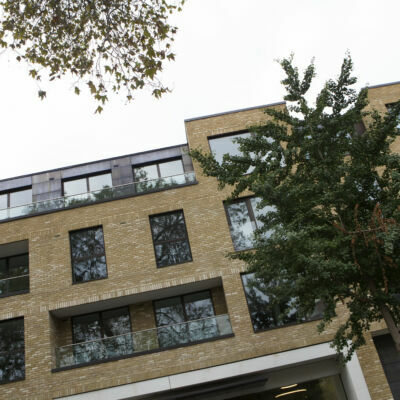 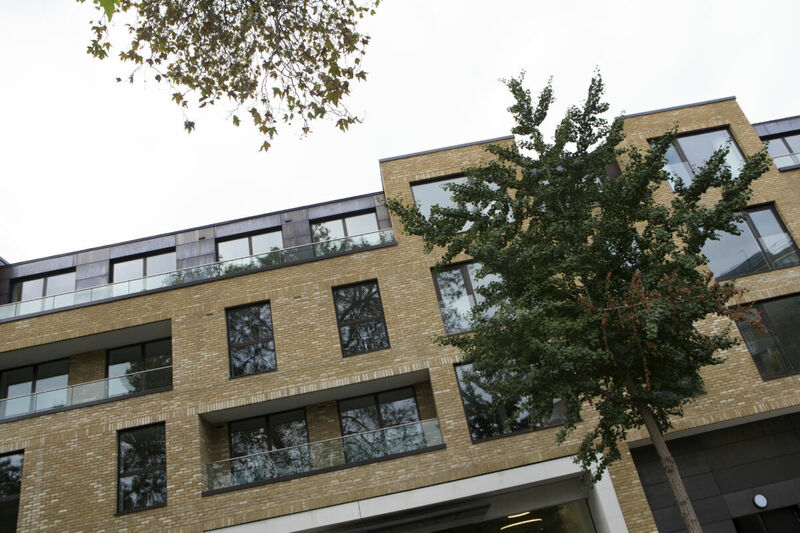 The Matki Bespoke and Installations team worked with CP Hart Fulham on this large residential project at Inverness Terrace in Bayswater. 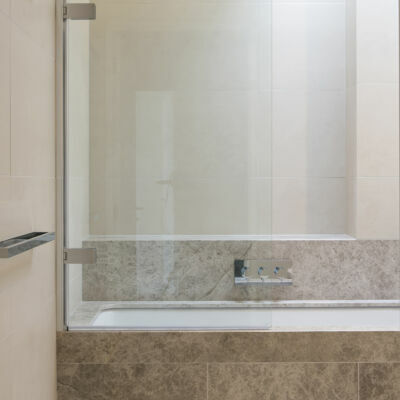 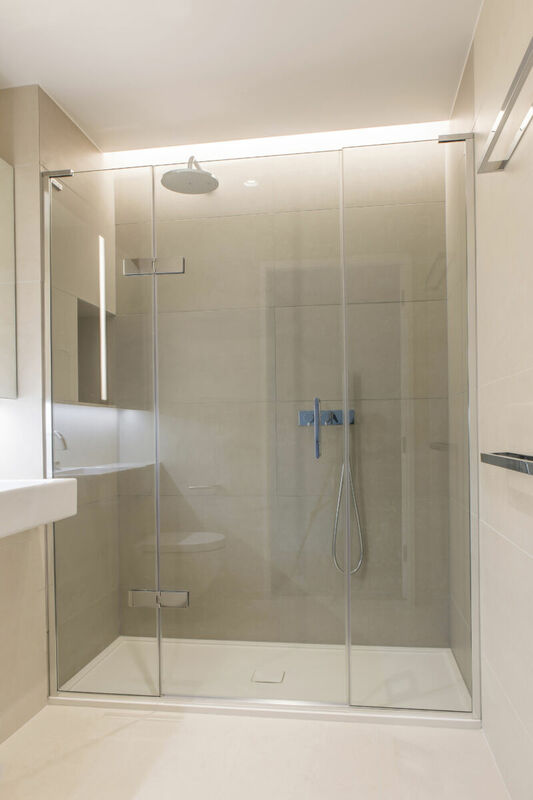 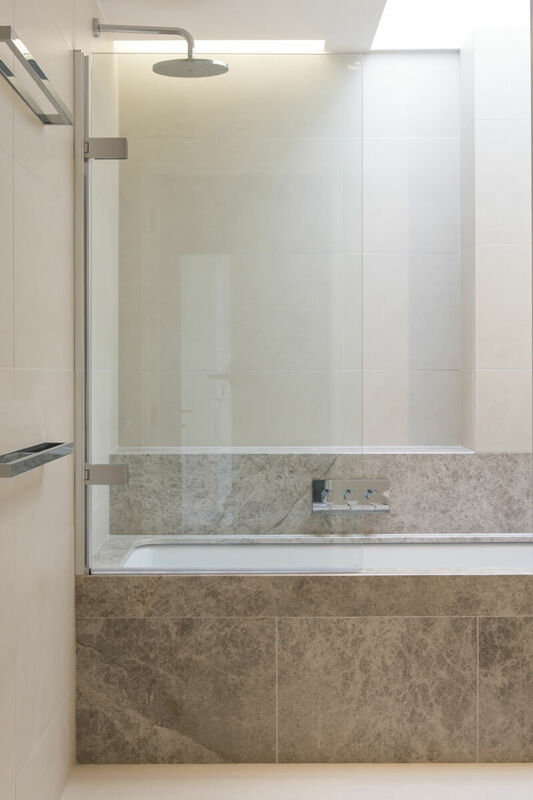 EauZone Plus Bespoke Sliding and Hinged Shower Enclosures and Bath Screens were specified. 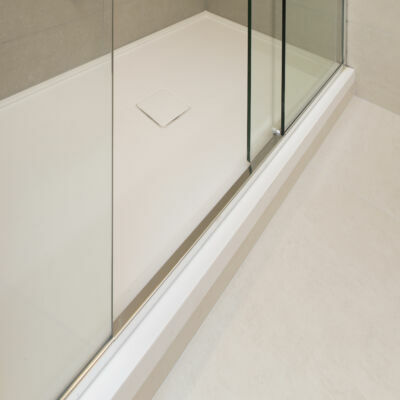 Working beautifully with the marble bath, Matki bespoke designed a dwarf wall installation for many of the spaces leaving a minimal shelf inside the Shower Enclosure, maximising the space around the bath allowing space for a contemporary bath mounted Hand Shower. 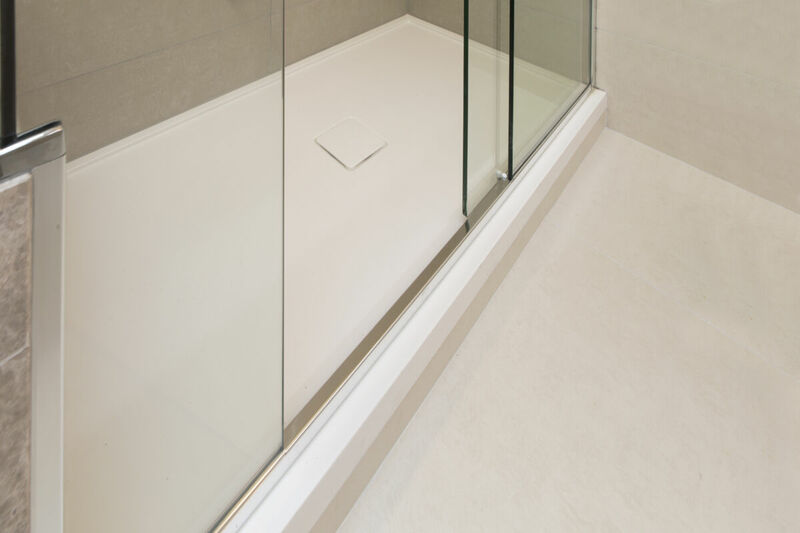 Alongside the Glass work, tailormade solid surface Shower Trays, made from the luxurious Matki Preference material were fitted – having a luxurious warmth and semi tactile touch. 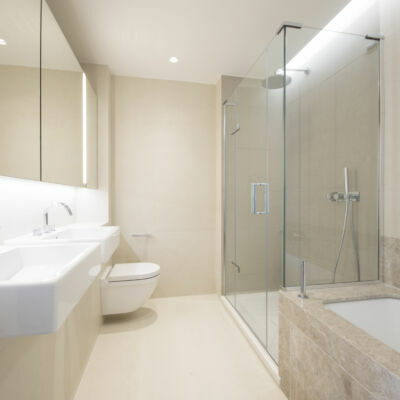 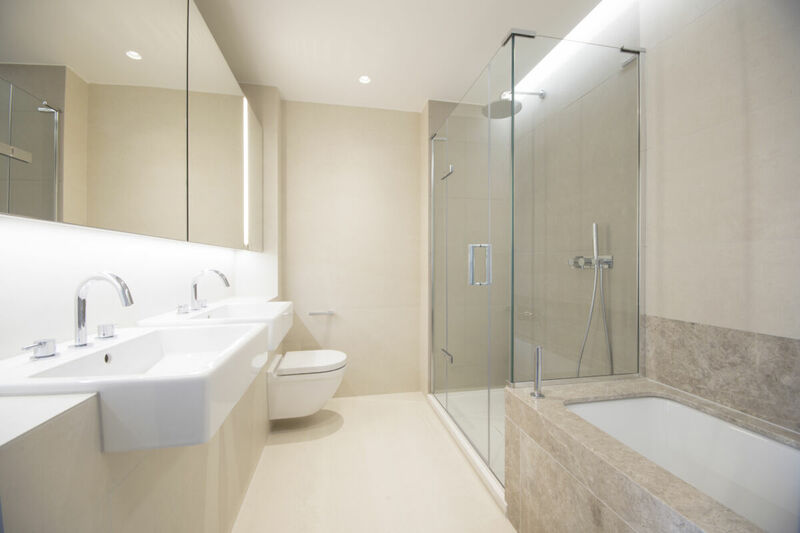 CP Hart Design and Sales Consultant, Bakuli Sangamneheri specified across 20 bathrooms in the property, the complete renovation was delivered and managed by Vascroft.